Elderberry is traditionally used to support a healthy immune system*, so I'm always searching for ways to integrate it into my meals. And one of my recent New Year's resolutions was to speed up my morning routine. Just imagine my excitement when I stumbled upon this recipe that combines my quest for a daily dose of elderberry with my need to buy back time in my day. 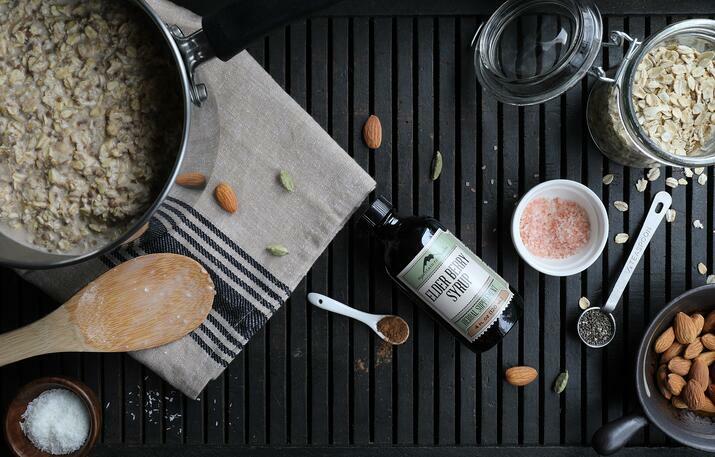 While making your own elderberry syrup is pretty darn easy, when you get our Elder Berry Syrup**, all the work is done for you by our talented team of extract and syrup makers at our headquarters in Eugene, Oregon. 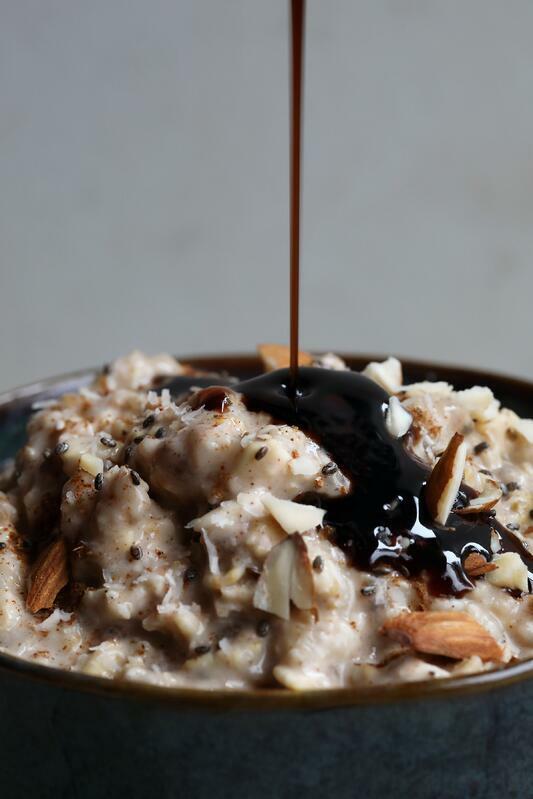 The syrup lends a touch of sweetness and beautiful color to this super simple overnight oat bowl, but it's quite tasty on its own too. Place first six ingredients in a small saucepan and let soak overnight. The next morning, remove the cardamom pods and then add the remaining ingredients except ghee. Stir to create a porridge-like consistency. Heat the mixture over low heat for five minutes, stirring occasionally. Add ghee just before serving, if desired. Want To Make Your Own syrupy Goodness? **Our Elderberry Syrup contains alcohol, so use caution when serving to little ones or people who are trying to avoid alcohol.